Free home daycare forms will make planning your business much easier. There is no need to create the forms yourself... simply choose the forms you feel are best for your business, then click, print and use! Injury report forms are a necessary part of running an in-home daycare. 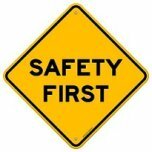 Regardless of how safety conscious you are... children can and will get "owies". Your job is to handle the injury and notify the parents as soon as possible. The injury report form should be used for every injury, regardless of how minor it appears to be at the time. Every scrape, bruise, bloody nose... everything. The forms help to protect you should an injury turn out to be worse than suspected. You will need to keep careful records of exactly how the injury occurred, and exactly what type of first aid was used. The forms below offer space to fill in the date and details of how the injury occurred. Make sure the parents sign a copy for your files. 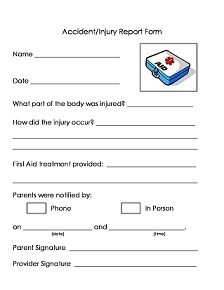 Any time a child is injured in any given way; this form should be filled out. This is one way to let parents know exactly how an injury occurred. The form must be signed by the parents. 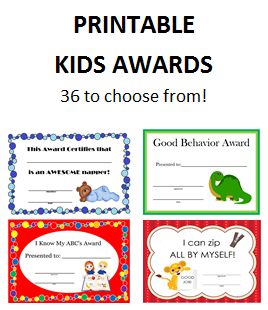 Make two copies... one for the parents and the other for your records. Choose whatever form you feel most comfortable using. The "Owie" report is the simplest of the forms and can be easily used for the most minor of injuries. This form gives you more room for details. Make sure to fill in the date and time that parents were notified. Another full-page form allowing you to fully explain all the details. Poisonous Plants: We all have plants. You'll need to know which ones pose a problem for children. When you have an in-home daycare... child safety in the home is your responsibility. Learn all you can to keep the children in your care safe.